From Kathryn Bigelow, the award-winning director of The Hurt Locker and Zero Dark Thirty, comes the gripping story of one of the most terrifying secrets in American history. John Boyega (Star Wars: The Force Awakens) plays a Detroit security guard caught in the crossfire after a late-night police raid sparks a wave of violence that spirals out of control. 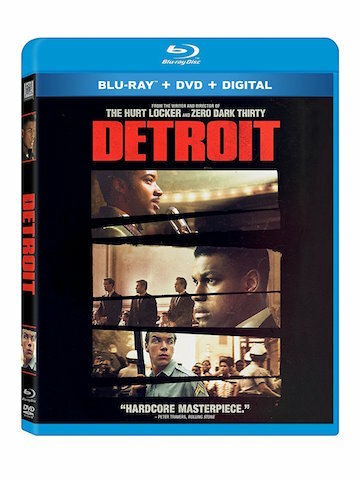 Featuring masterful supporting performances by Will Poulter (The Revenant), Algee Smith (Earth to Echo), Jacob Latimore (The Maze Runner), John Krasinski (“The Office”) and Anthony Mackie (Captain America: Civil War), Detroit is a “visceral thriller” (Rafer Guzman, Newsday) that “demands to be seen” (Matt Goldberg, Collider).